Today's prompt is galaxy nails. This is actually my first time ever doing them, and I'm very pleased with the results! I think it looks awesome. Although, I had to literally write down the color order for the colors used in this design and what order to do them in. It got complicated for a minute haha. 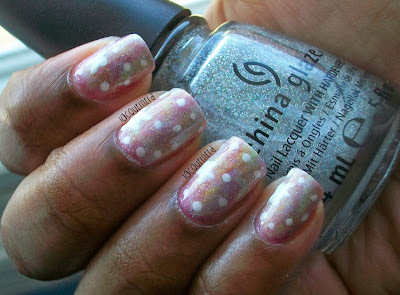 The first time that I did it on the nail, I messed up completely and forgot what order I did the colors in. The second time I got it down. Here are the results! For these galaxy nails, I first painted one coat of Zoya's Shivon as my base color. Once that dried, I ripped up pieces of a makeup sponge. If you don't want to rip up a new one, grab an old one that you've used before (for gradients or if you use it for your makeup) and rip that up. That way you're saving up on your materials and not wasting up a new one. Next, I put a couple drops of polish onto a scrap piece of paper. Then, I grabbed a piece of the makeup sponge with some tweezers (you can do this by hand as well) and dip it into the polish. Lightly dab the color onto the nail. Dabbing it on too heavily will mess it up and leave you with blobs of polish on the nail. To avoid this, dab the sponge a few times on the scrap piece of paper. Repeat with all the colors. If needed, you can go over again with the colors on certain spots. 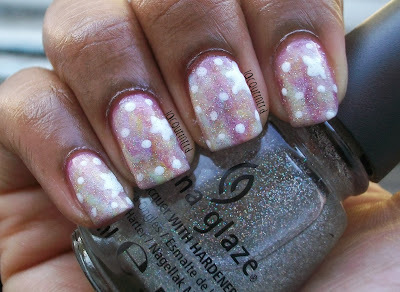 After you've dabbed all the colors onto the nail, with a dotting tool or detail brush, make small dots onto the nail. For the stars, I made dots into a cross and connected them to make the stars. If you want the stars to have that point, use a detail/striper brush and make the points. 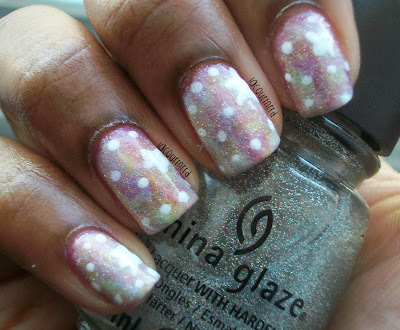 Finally, I added China Glaze's Fairy Dust for some sparkle and to give it more of the galaxy look. If you want, you can add a top coat for some extra shine. I think these turned out great for my first time! I'll definitely be doing more galaxy nails in the future. I might try out a darker version. What do you think of this design? Tomorrow is water marble (oh boy!) I'm nervous for those!